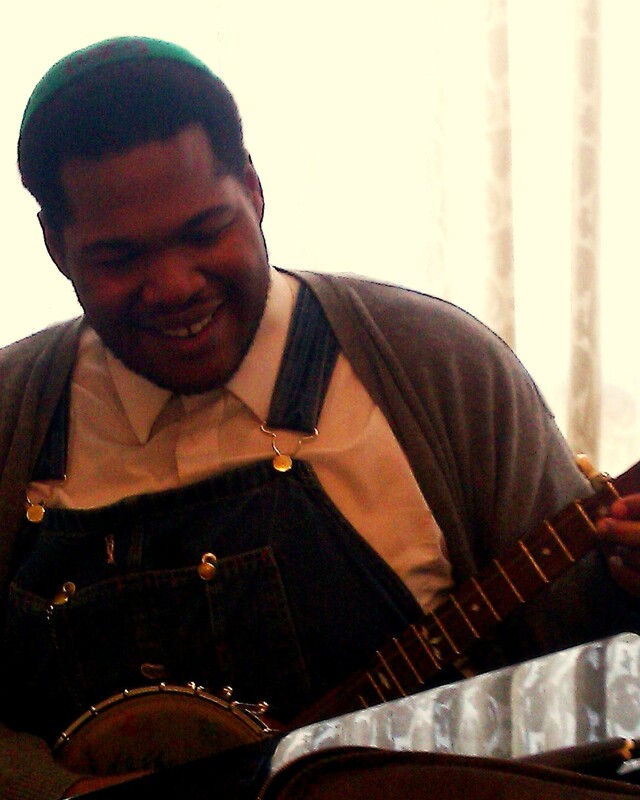 Jeron Blind Boy Paxton may be one of the greatest multi-instrumentalists of this generation that you have not heard of yet. 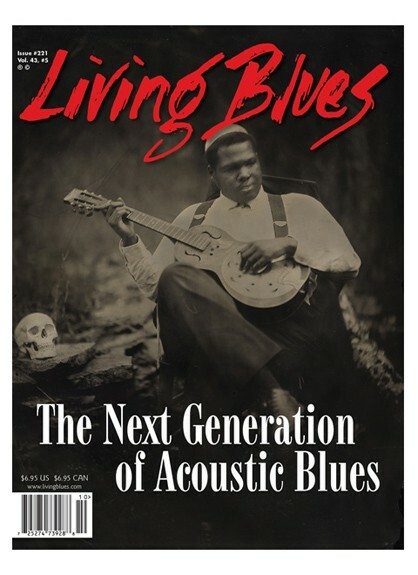 Jeron just made the cover of the current print edition of Living Blues Magazine without even releasing a single official recording in the United States. 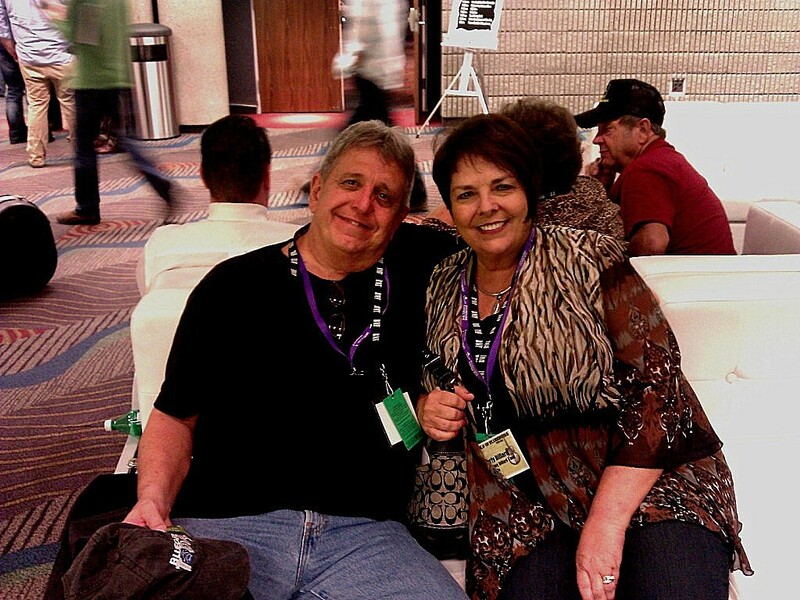 I first met Jeron at the Folk Alliance in Memphis, Tennessee in late 2010. 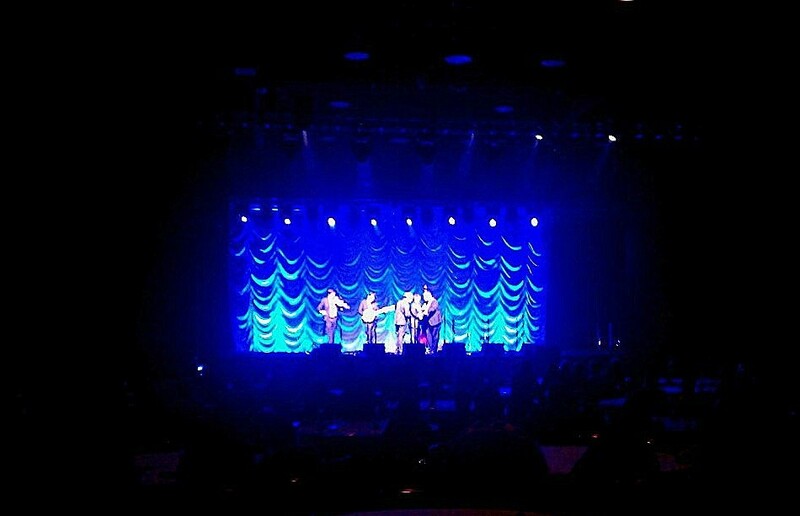 Jeron had come to the conference with friends, The Carolina Chocolate Drops that included newest member, Hubby Jenkins. I actually talked shop with Jeron sitting in some chairs on the second level of the Hotel. Jeron’s interest in early 1900’s music and knowledge of particular styles was way beyond my own comprehension and I enjoyed getting his perspective on that time period speaking as if he was visiting 2010 from that time via “Back To The Future”. 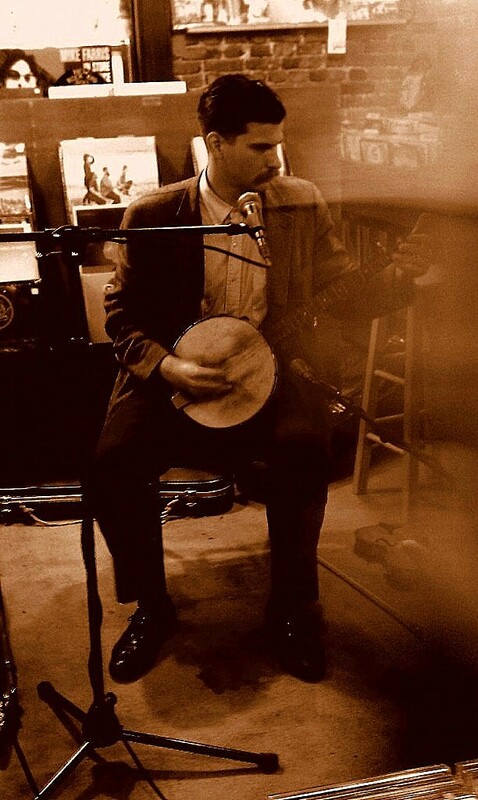 When I finally heard Jeron play, it was actually playing some banjo after finding that a grand piano in an enclave was locked up. After hearing Jeron explain and play some rare songs from an era almost 100 years ago, I asked if he had recordings I could get, but, found out that he had not recorded yet. I asked Jeron if he would be interested in doing some recordings while in Memphis. Jeron had some kind of flu or cold and was not feeling that well, but, said he would see how he felt later. I contacted one of my best friends, Brad Dunn (nephew of Donald “Duck” Dunn, Booker T. & The MG’s as well as son of Bobby Dunn who ran the King Records, home of James Brown, office in Memphis back in the 60’s). Brad was Vice- President of recording studio, Leeway Music and had several recent recordings done at Leeway in recent history. 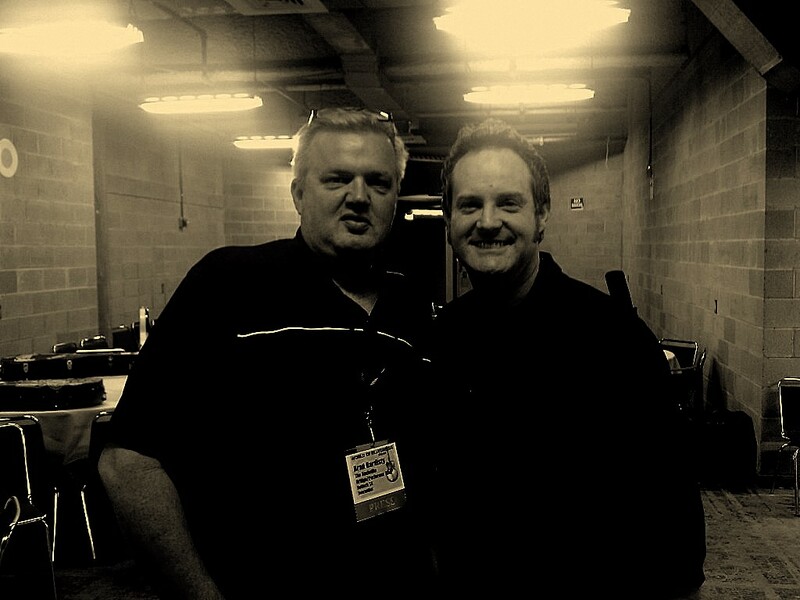 Brad was definitely interested in working some kind of deal if Jeron wanted to record while in Memphis. Unfortunately, Jeron was not feeling well for the duration of the Folk Alliance Conference and that did not happen. 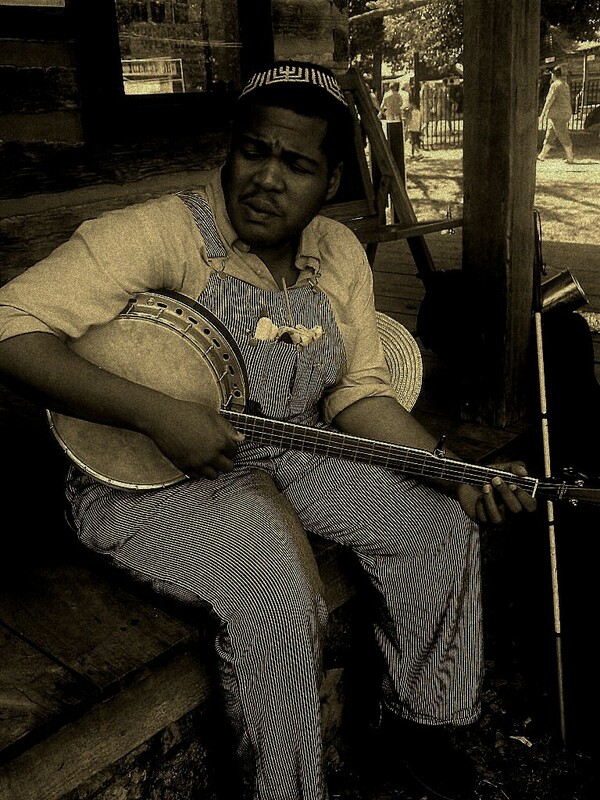 What did happen was Jeron Blind Boy Paxton got some serious respect as he was involved with a forum talking about the earliest forms of folk music both American as well as Irish, Welsh and other forms by some of the most respected musicians and professors in each genre. 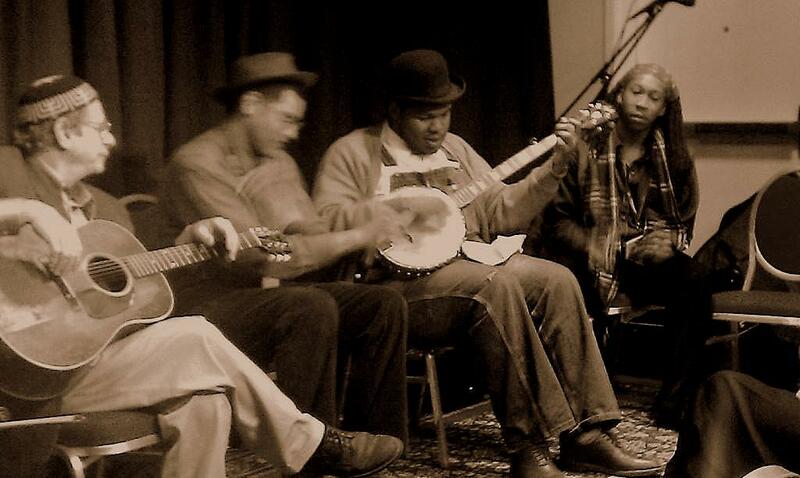 Dom Flemons and Hubby Jenkins of The Carolina Chocolate Drops participated playing “bones” during the forum. 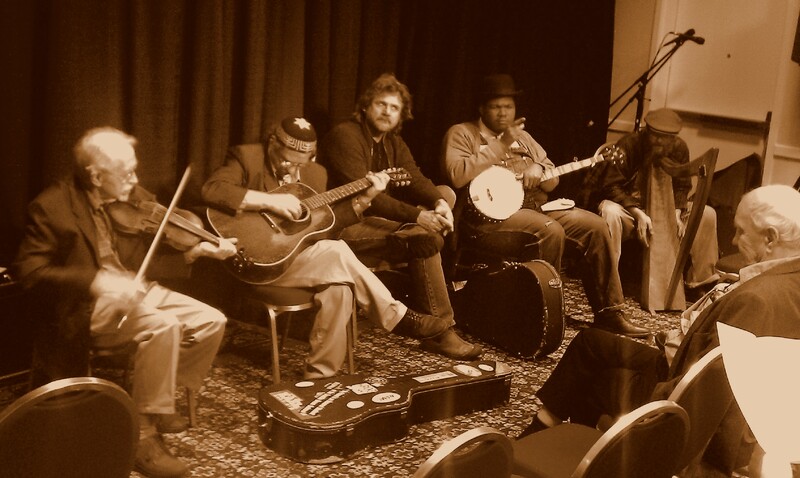 Recently, this last summer, while attending Uncle Dave Macon Days in Murfreesboro, Tennessee, I found Jeron entertaining and jamming with local musicians as he continued to spread some old time music played with unusual depth. Jeron said he had recorded a 78 record in England, but, that was the extent so far. 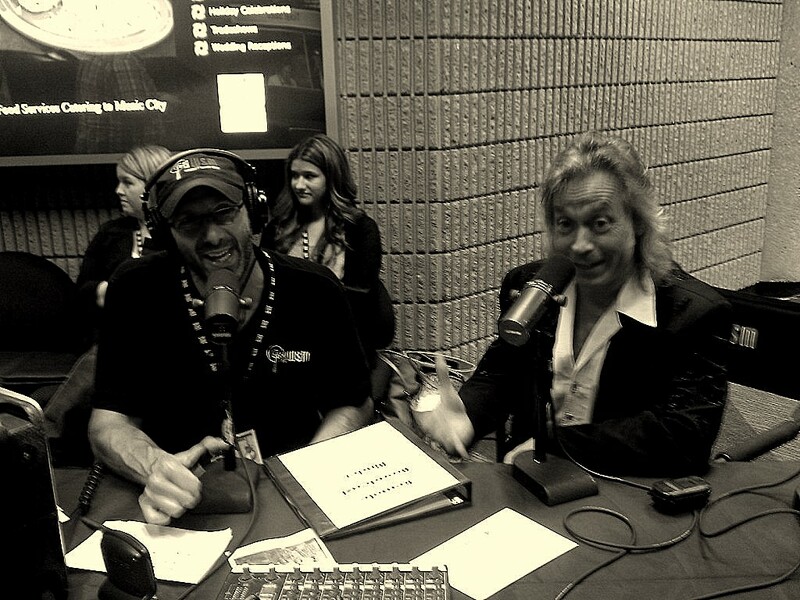 Living Blues Magazine’s great spotlight piece will continue to build some momentum till Jeron decides what to do beyond attending folk and blues festivals. In a way, he is like Jimi Hendrix in the early days jamming and meeting everybody he can along the way before getting out to the world in general. On the second night of World of Bluegrass, the boundaries were being stretched from groups influenced by Bluegrass music growing up, but, showing hardly a hint of a Bluegrass foundation to neo-modern traditionalists Town Mountain, the future of Bluegrass lies in a cross section of those that would hold high the Monroe flame at this celebration of the 100th Anniversary of his birth to seeing if Pat Benatar can go well with a side of Mandolin. 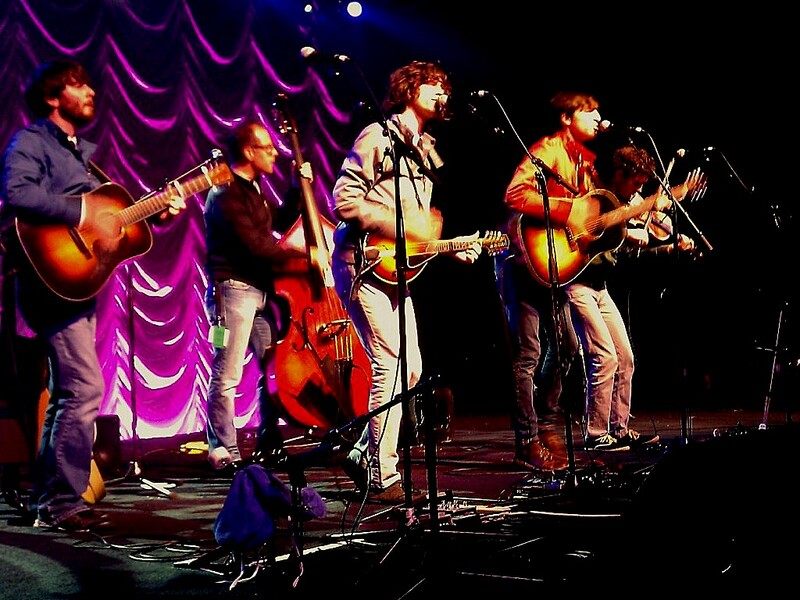 The Farewell Drifters, with a fairly current Americana meets Pop Music took the stage, with two releases debuting in the top 10 of the Billboard Bluegrass charts, Zach Bevill and the crew were a push forward with varied influences. The fact that they have progressed this far shows that a younger generation is carrying acoustic music across the universe. Nu-Blu, featuring the beautiful voice of Carolyn Routh, premiered a great video for a strong number, “Other Woman’s Blues,” before playing live to the full house. 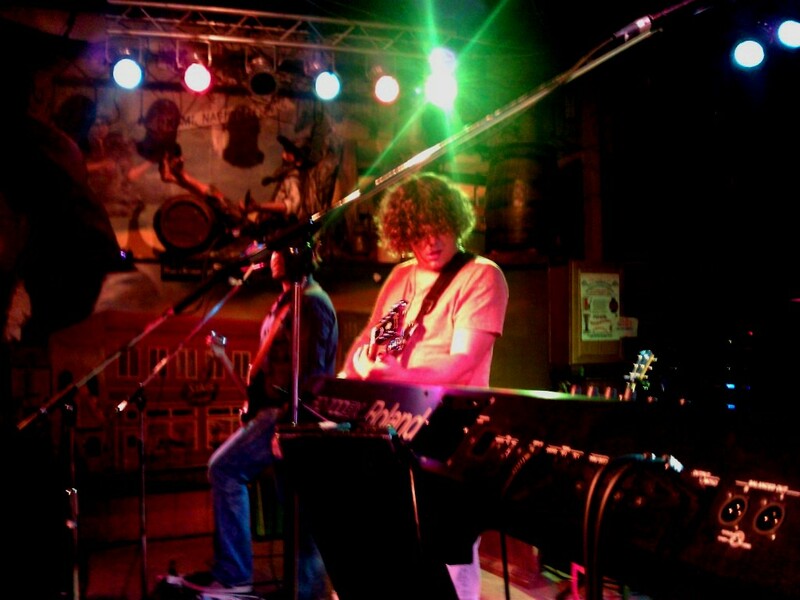 The real strength of Nu-Blu is their songwriting, even though they finished the set with Dolly’s “Jolene” and a Pat Benatar rave-up of “Shadows of the Night,” they have some interesting stories of their own to tell. 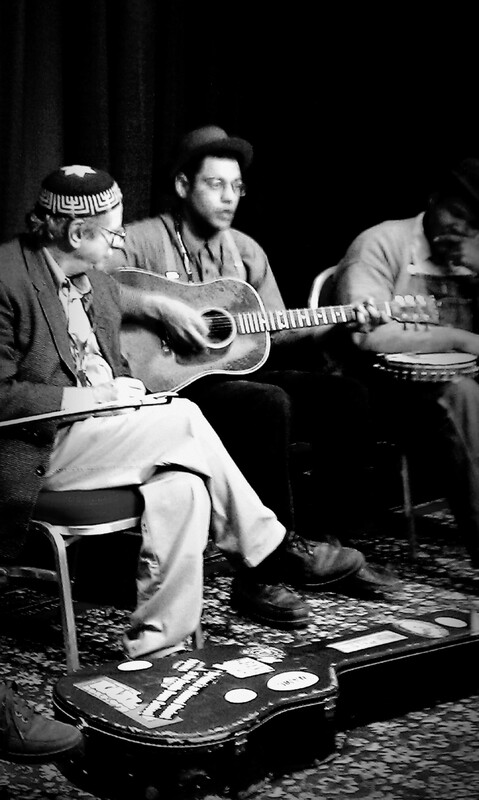 If there was a particular theme, it seemed to be that just about any acoustic music was welcome. 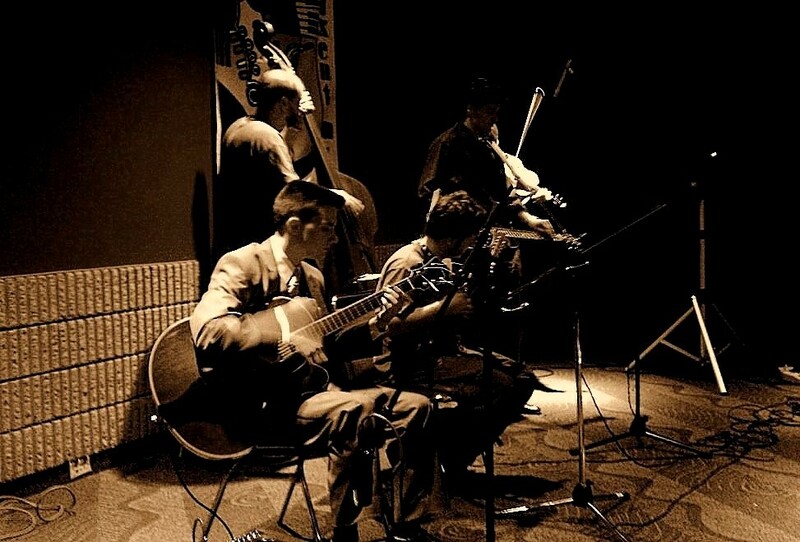 Even in the after hours, showcases, which featured the Gypsy Jazz / Old time Texas style swing of Casey Driscoll, Taylor Baker and Brennen Ernst playing “Blue Skies”, was really a bridge to the Americana Conference and Folk Alliance. Jim Lauderdale had one of the strongest sets, playing songs from Reason and Rhyme, with Producer and Dobro shredder, Randy Kohrs and a hot band hitting all the right spots. Jim is a neo-traditionalist chameleon that works in tall bluegrass and with Grateful Dead songwriters in the same breath. Jim has such a volume of output; he wears me out just thinking about it. 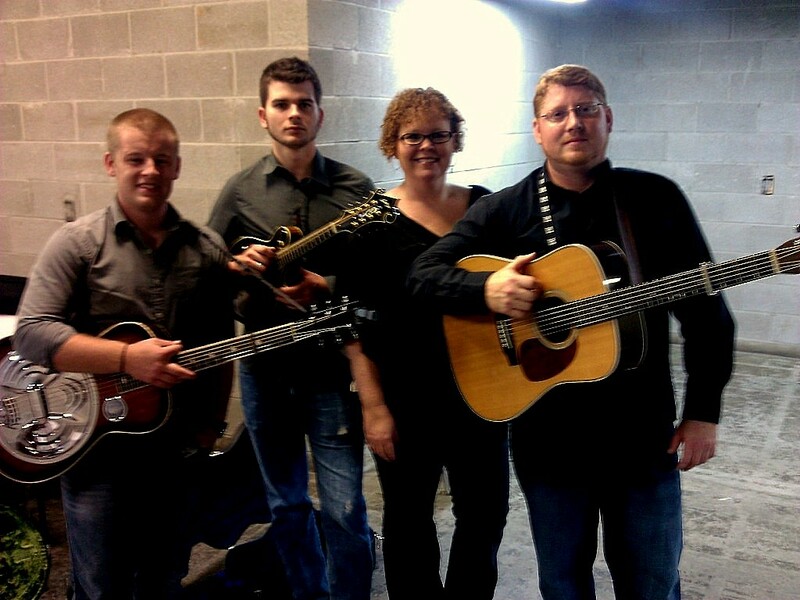 Town Mountain was a fitting finish, with great musicianship and a strong nod to Bluegrass. They were drawing in the lines and at the same time fresh faced. Rodney Dillard of the generational Dillards (The Darlings, Andy Griffith Show) was taking a breather this year while his band was all about mixing it up. The jams go late into the night. Some of the impromptu meet ups are what makes this fun. 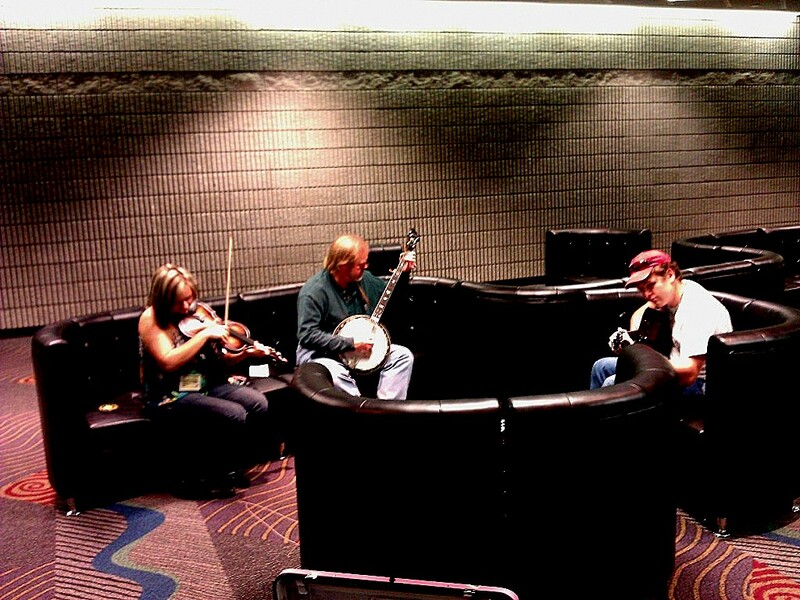 You could catch anybody from Crystal Shipley (The Dixie Bee-Liners), Joe Zauner on banjo and Jed Clark (The Roys) on guitar, just hanging on a cluster of couches talking instruments to see what happens. A couple more doors down and the soulful country of Southern Alabama’s Martin McDaniel, with some of the most fluid guitar lines in town was at The Stage. Martin has been building a local audience ever since he arrived a few years ago, doing it the hard way, honky tonks and opening sets. Music City; where music never sleeps. 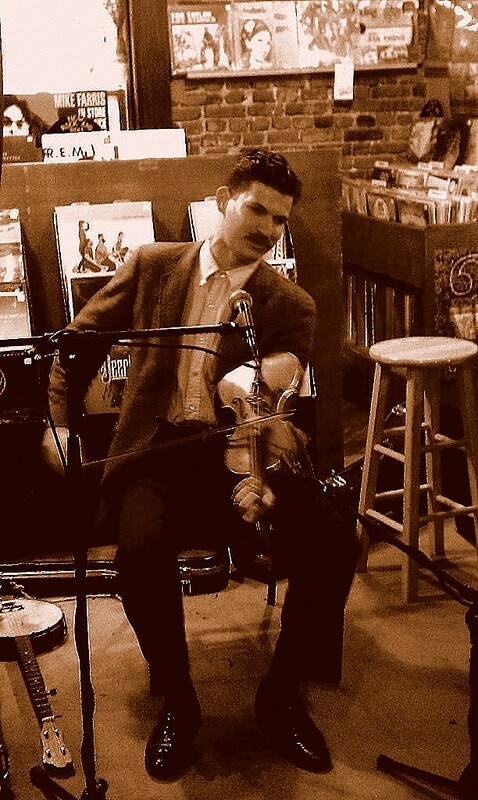 A quick check of my email yesterday on my EVO phone found a note from Grimey’s that Frank Fairfield was doing an in-store appearance a couple of days after his Music City Roots set at The Loveless Barn at 6 pm. There is a lot of “roots” music lately but only a chance now and then to catch a true purist player. Doyle and Mike and the rest of the Grimey’s crew were on hand offering Fat Tire brew to those over twenty one and a weird flavored water that tasted like Hot Buttered Popcorn, a free sample remnant from Record Store Day for those with a brave palate. Frank was in no hurry prepping his violin, conjuring squeaks with a stroke of the cleaning cloth. Frank said he finds himself “talking to birds”. It was loud enough to conjure a dry track version of Paul’s “seagulls” from “Tomorrow Never Knows” in my brain. 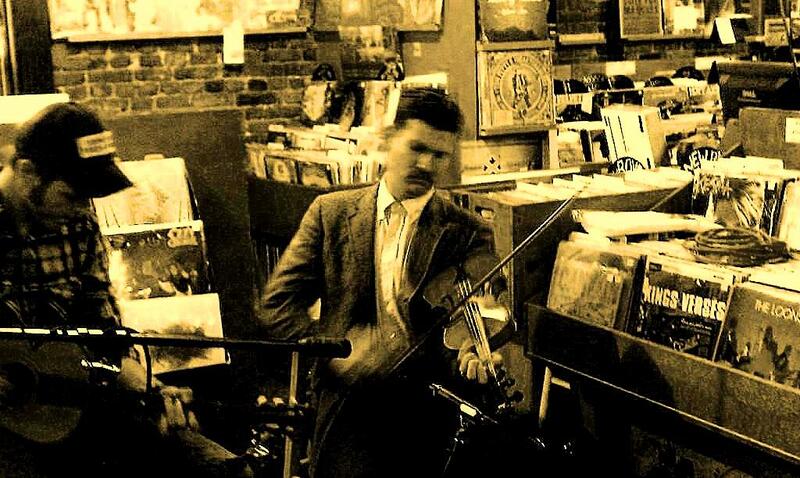 Frank Fairfield’s one and only recording was released in 2009 on Tompkins Square Records out of New York City, a collection of songs older than my Grandparents with enough references to “John Hardy” and “John Henry” to find him bookended by Uncle Dave Macon and The Carter Family. 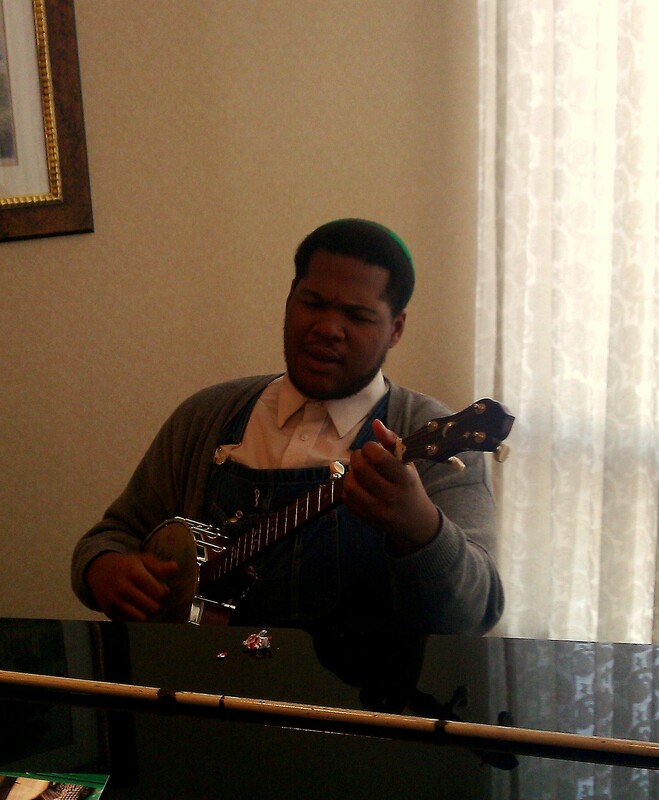 My new friendship with Blind Boy Paxton at the Folk Alliance prepared me for Frank’s mindset. You can’t really just call him an archivist, Frank dresses the part, talks the part and walks the walk as he resurrects long buried treasures performed on Banjo, Violin (Fiddle, whatever), and Guitar, a little gut box similar to Willie Nelson’s trigger. The instruments themselves were artifacts. In fact, Frank and the aforementioned Blind Boy Paxton are both a player’s player where everything needs to come from that era and bring it out live, unplugged. The guys from Peelander-Z were busy rummaging through Used CD’s just prior to sound check for their show at Exit/In as Frank started a duet with music partner Daniel Frazier of Memphis, Tennessee’s Daniel Frazier & The Outlaws. 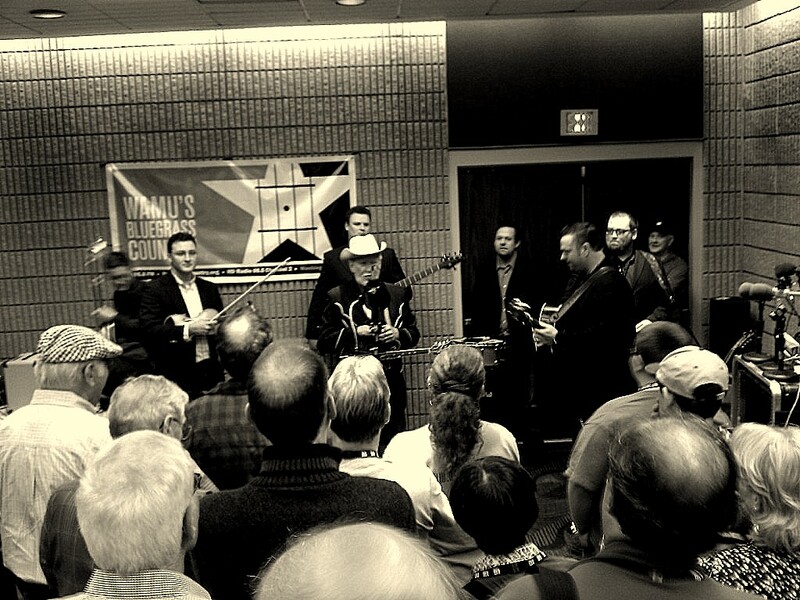 Frank started out on Fiddle but moved to solo Banjo, Guitar and back to Fiddle. At one point, he put on a thumb pick and hit a couple of notes and said “no” to himself and put it back in his pocket. This was all done with hands showing deft tenacity, dynamics and finesse. His voice would fit what you would expect on an old Carter Family record and more or less is an accompaniment to his playing much in the same way as Jimi Hendrix was, it does not detract but adds to the mood. Frank often explained where the piece came from referring more than once to East Texas “where his people are from” especially an odd triplet rarity called a “Mazurka” that had come from the Spaniards that settled there probably in the 1800’s or before. Although many of the sets at Grimey’s are usually abbreviated to five songs or so, Frank came ready to do an hour or so. I picked up his CD and through it in the car stereo and heard what I expected to hear. A modern day field recording, not much different than what Robert Johnson sounded like recording in a Houston, Texas Hotel Room almost a hundred years ago. 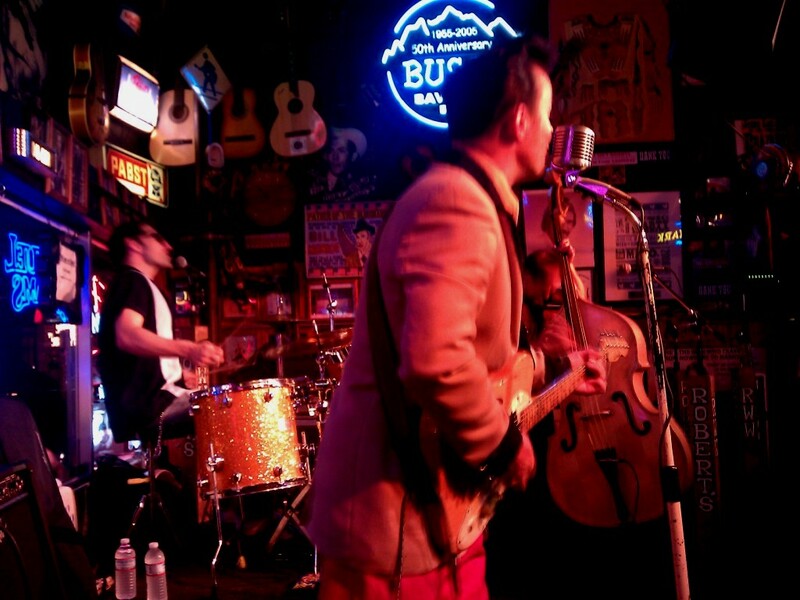 Although Frank is from Texas, he fits well with East Nashville’s Americana Scene or the Brooklyn, New York roots scene that has developed over the last few years. Like Blind Boy Paxton, Frank knows his stuff both visually and sonically as he stomped his feet and moved to the beat in his chair, but the question still arises with me. Can you branch the tree out from a pre-rock period of time and deliver something new? A fresh take on a tribute to the past, before the term bluegrass or Chicago Blues, offers a lot for me, but, I would like to see a new song come out of this. Bob Dylan took an early Thirties and Forties feel on Modern Times and spun in it an up to date verbal onslaught. It can be done. 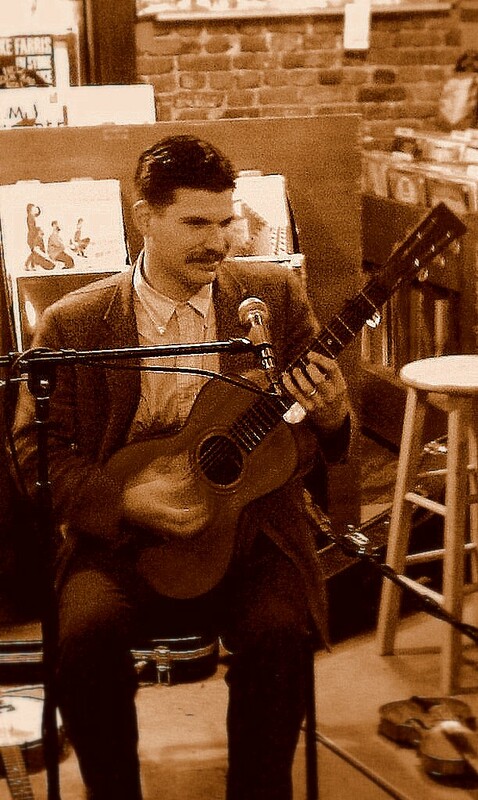 Frank Fairfield as well as Blind Boy Paxton, who runs with Hubby Jenkins and the Carolina Chocolate Drops, are a must see if you are a guitar or string player whether you are a Dimebag Darrell or Leo Kottke Disciple. 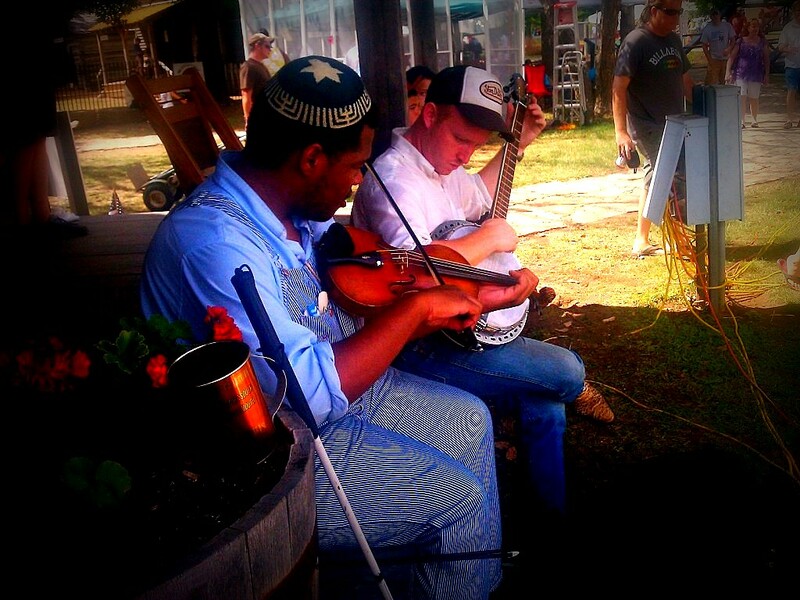 Frank and Blind Boy both prefer guitars that you practically have to pull the strings into tune. There must be something about having a guitar that is hard to play like Jack White says. Pick up the CD and take a listen to “Call Me a Dog When I’m Gone” and “Cumberland Gap”. In fact crank it up while you are driving down Lower Broad and really mess with people.